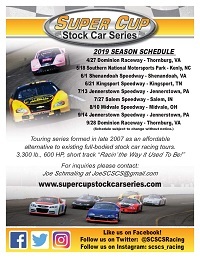 SHENANDOAH, VIRGINIA (January 17, 2019) – The return of the Super Cup Stock Car Series to Shenandoah Speedway will highlight the new “Veterans Classic” on Saturday, June 1st. 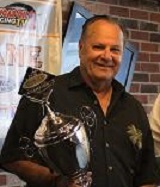 The 3,300 pound, 600 horsepower stock cars with roots dating back to Pro Cup, ARCA, and even NASCAR’s past will be joined by a $1000 to win INEX Legends race that will support local veterans charities. A busy program will also include local divisions competing and a fireworks show to conclude the night. Veterans will be admitted for half-price while active duty and first responders will receive free admission. 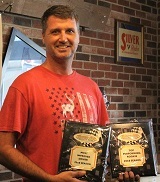 The twin 50s for the Super Cup Stock Car Series will be the fifth and sixth green flags in its 11-year history at the scenic 3/8ths mile speedway. 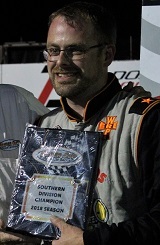 The most recent visit in 2013 saw Jim Crabtree, Jr. top a 20 car field for a hard-earned victory. 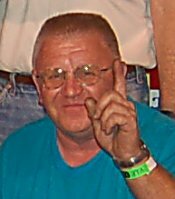 Some of the same cars and largest crowds in track history were on hand when the Pro Cup predecessors hit the track in popular events in 2006 and 2007. 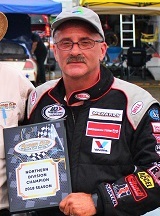 Bob Schacht won the 2018 series championship that saw 37 different drivers compete. At least four different states will host Super Cup races in 2019. A large turnout of Legends cars is expected with the Veterans Classic complimenting most other regional track’s schedules. Ticket information will be coming soon. Action will get underway on Friday night with an open practice session with pit passes available for $30. 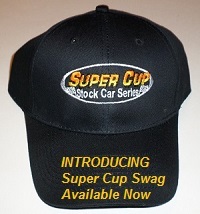 Additional information regarding the Super Cup Stock Car Series can be found at www.supercupstockcarseries.com, on Facebook by searching Super Cup Stock Car Series, Twitter (@SCSCSRacing), and Instagram (SCSCS_Racing). For more information about this race or to contribute as a sponsor or charity partner, contact Jeff Thielscher at (661) 428-0911.